(If I have too much, I put it on sale. When I sell out, I take it off. So, Check back often for sale prices!). ALL OF YOUR QUESTIONS ARE ANSWERED HERE. If you have a question about ordering see this section. Please note: I have a minimum order of $25 before shipping charges. I will not, under any circumstances, ship anything international. The rates are now ridiculous as of the 1/27/13 price increase. If you aren't a US citizen and you can give me a US address to ship to that's OK. PLEASE READ MY POLICIES HERE BEFORE YOU ORDER! By ordering from this site you are agreeing to all the stated policies on the linked page. I accept electronic payments or credit cards via PayPa. If you have a PayPal account, would like to set up an account, or would like to use their one-time transfer feature without signing up for an account, please feel free to try the shopping cart by clicking the cart button next to each item. I will bill S&H charges to your PayPal account once I have your order ready to ship. You MUST unblock cookies and popups for the PayPal site to work! If you don't want to use PayPal, please EMAIL ME at the link below. 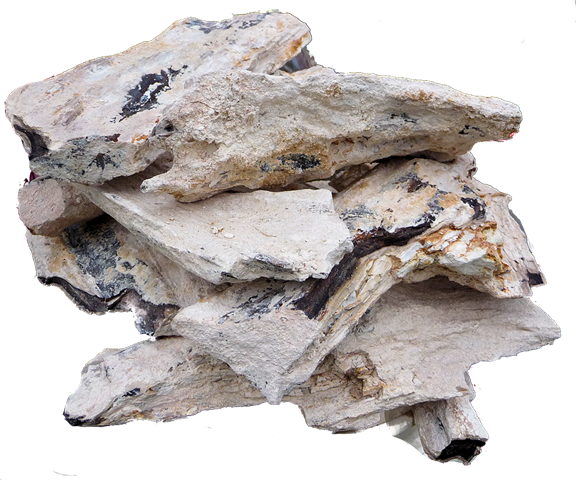 LOWER PRICES ON MOST ROUGH ROCK ($1.00 or more less per pound) and slabs (as much as 75% lower)! Shipping and handling charges are approximately $14.00 per 15 lbs. (medium flat rate priority mail box) or $18.50 per 25 lbs. (large flat rate priority mail box). Shipping rates for light packages under a couple pounds (depending on where you are) are generally less that $12.00. You MUST allow cookies and popups for the PayPal site to work! (I get complaints that Paypal is "broken" at least once a week. It is ALWAYS because your web browser and/or firewall is blocking information from Paypal) You MUST have a valid email address to use PayPal! If you choose to pay via eCheck, I will wait for it to clear before starting on your order. Under "Quantity" please put the number of POUNDS for rough, the number of SQUARE INCHES for slabs. In your note, specify any details like minimum size of slabs. I will calculate S&H charges and bill you once we get the order squared away. SOLD OUT means I have none. Please do not click on the Cart button if the Available Quantity says SOLD OUT. Please do not order more than the quantity available. Please pay attention to the size of the rough. I will not cut down my rough to accomodate small quantities. If you prefer to pay with a money order, email me with your order at the address below. I can accept debit & credit card payments if you pick up your rocks here! 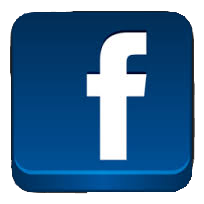 Check us out on Facebook for some more pics and updates whenever new items are added! I get an order at least once a week for less than $25. If you do this, I will ask you if you want to buy more material or get a refund of your payment. If you want more than 50 lbs. of rough material, I can offer a volume discount. Please inquire at my email address above if you would like a volume discount. For years I had been using a 5 lb. bag of true "optical grade" cerium oxide polish for all my lapidary work. It produced far superior results to the typical lapidary polishes for me. (Not to toot my own horn but I frequently get comments on how amazing my polish is :). 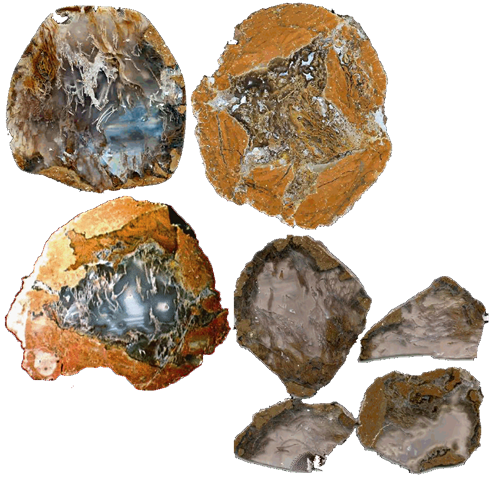 When I ran out a couple years ago and went to find some more I saw a lot on Amazon and lapidary supply websites advertized as "Optical Grade" BUT it was so cheap it got me suspicious. 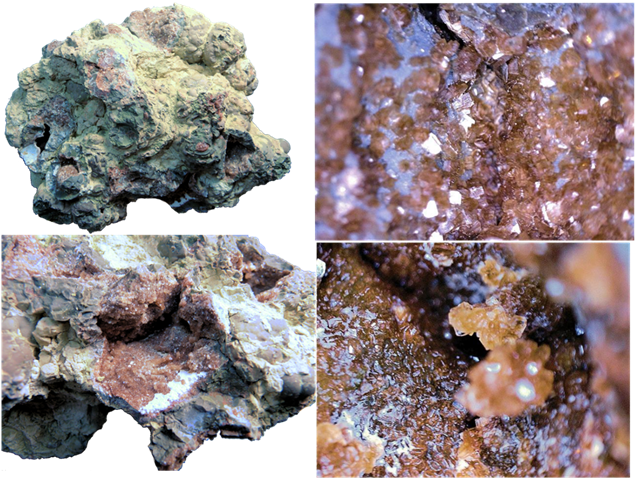 To make it easy for you, low grade cerium oxide is tan (medium grades) to reddish (very low grade) in color. It works great for tumbling, but I refuse to use it for my lapidary work where I demand as close to a "liquid" polish as is humanly possible. BTW I don't like to keep secrets so if you are interested I can give you some tips on what to use and how to work with it. Low grade cerium is comparatively cheap, you can get it in bulk quantity for $25/lb. You can pay way too much to dealers and especially the Amazon ripoff sellers. The cheap white powders being passed off as "optical grade cerium oxide", according to an industry source I contacted, are actually aluminum oxide (maybe with some cerium mixed in), which gives decent results for tumblers but isn't any better than low grade cerium for slabs, cabs, and specimens. 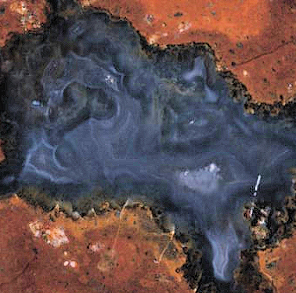 It's dirt cheap in bulk quantity, and therefore the sellers are making a couple thousand percent profit on a few ounces of it by lying and passing it off as cerium. 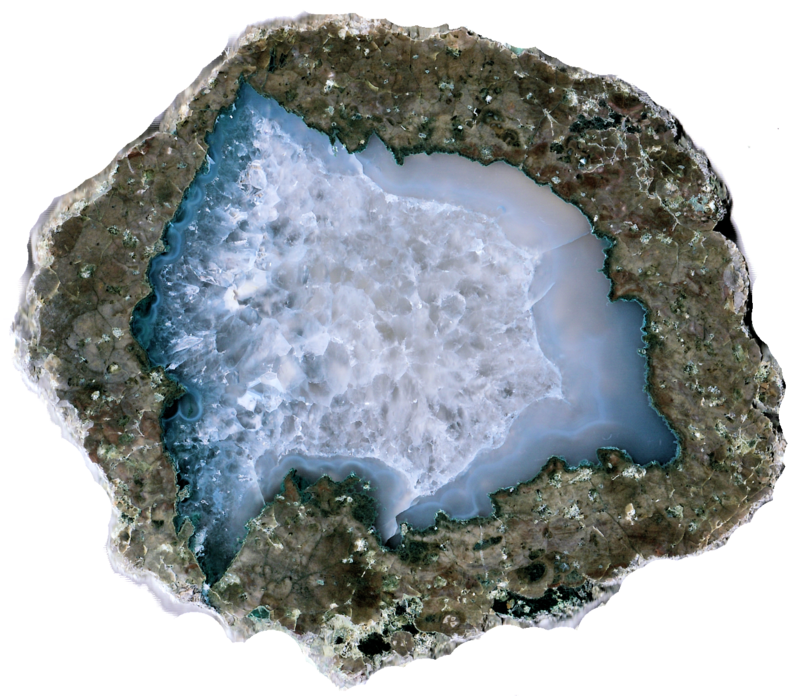 My source told me that true optical grade, used by telescope, precision optics, military suppliers, and the silicon chip industries, is over 99% pure cerium oxideby definition. 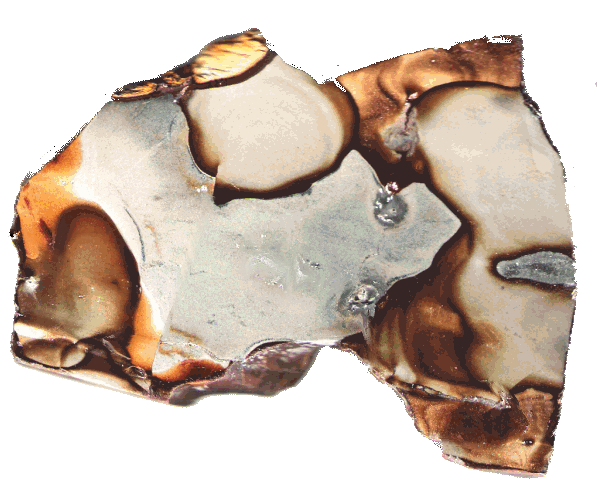 And to boot the particle size matters depending on the material being polished, so all grades are not equal. He suggested an optimal size for quartz and so I bought in bulk (becase I had to LOL). This is 99.90% pure cerium oxide powder, it's the "real deal". If you can find it at all this is a lot less than you'll pay for an ounce. If you use it correctly a little bit goes a very long way. The 1/2 lb. bag lasted me a year and I polish at least a couple hundred pieces a year, from cabochons to 50 pound chunks (yikes!). Click on the name of any material for a sample photo! Please pay attention to the quantity and sizes available! SOLD OUT means I HAVE NONE. Please do not click on the Cart button if the Available Quantity says SOLD OUT. (Note: I often have slabs of material long after I have sold out of rough, so ask about slabs if the material says Sold Out). Please note the sizes of eggs - if it says large eggs then ordering 1 or 2 pounds isn't going to be possible! Slabs are sold by the square inch. 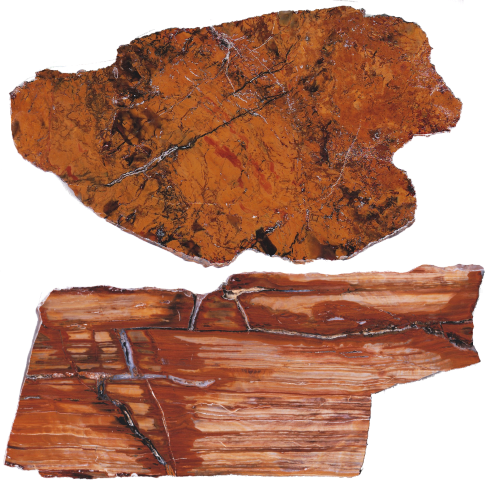 For example, a 4"x4" slab is 16 square inches. 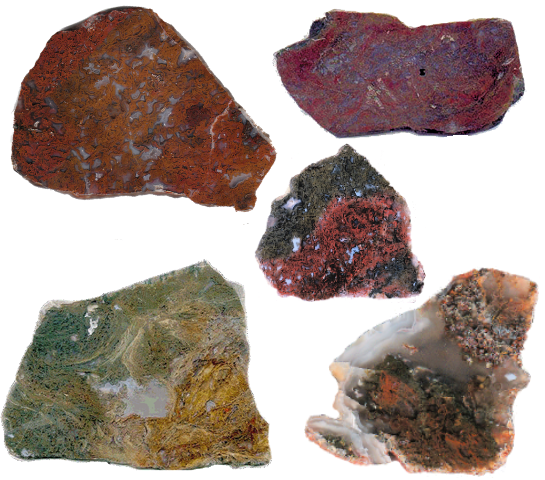 Please Note: I always have slabs available unless the Available Quantity says otherwise. 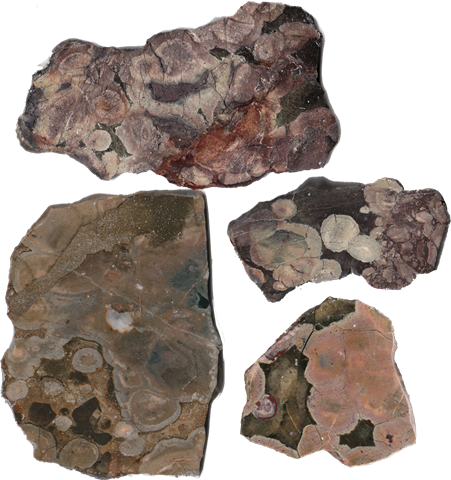 For slabs, I only charge for usable material if the slab has unsuable portions (for example, thunderegg slabs have both unusable matrix and usable centers). 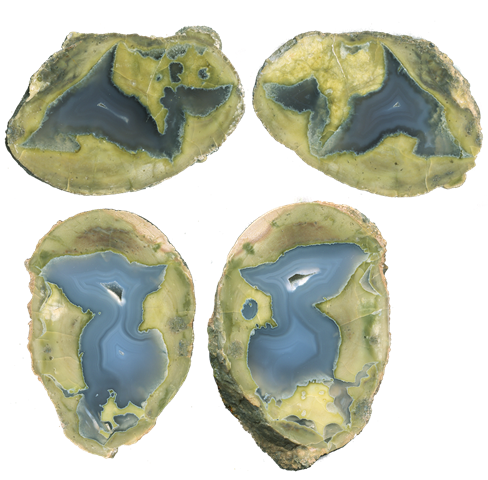 Many of the thundereggs below are fluorescent, sometimes very strongly, in shortwave ot longwave UV light. I note where some or most are fluorescent. 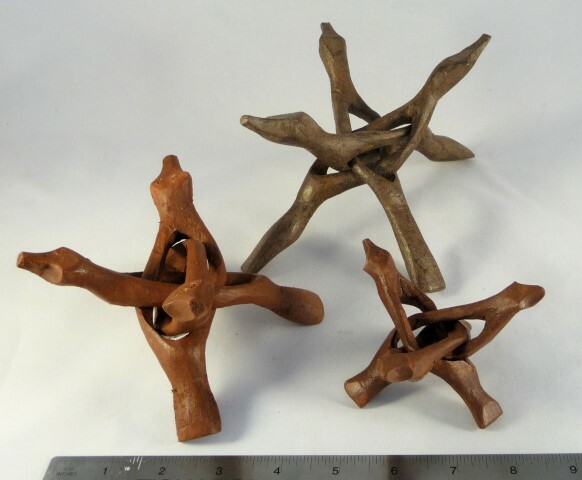 For some examples from my collection CLICK HERE. 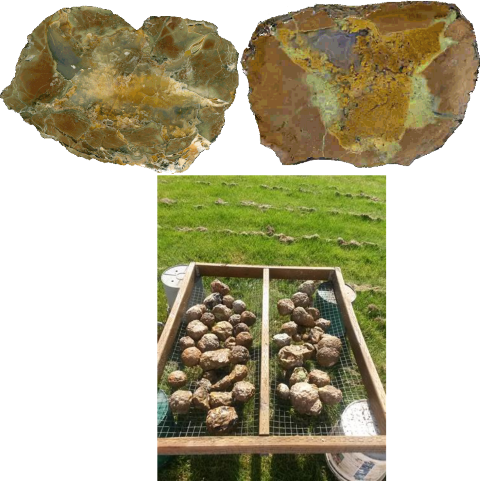 NOTE: Due to the time involved I will no longer be slabbing thundereggs, so when the slabs run out they will no longer be offered. 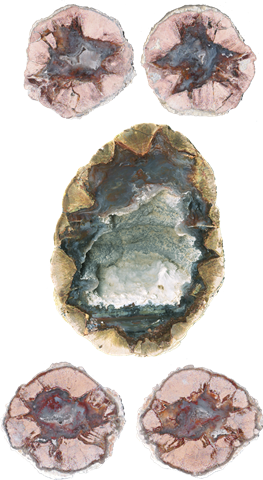 Donnybrook Usually clear to light blue agate, smaller eggs and "thundernuts". Extinct in the wild and very scarce. Fallen Tree Smaller eggs with lots of white moss and pastel scenes. 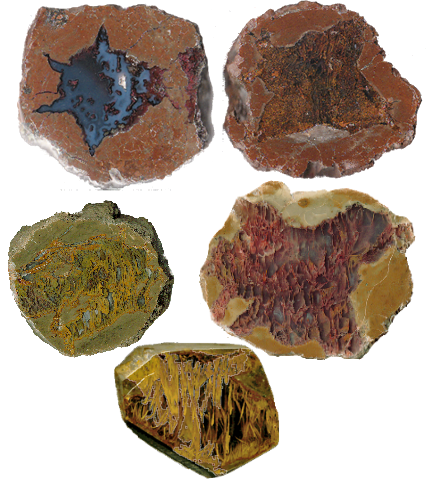 Some have cool zeolite minerals (fun to look at with a hand lens or a microscope). NEW SUPPLY! 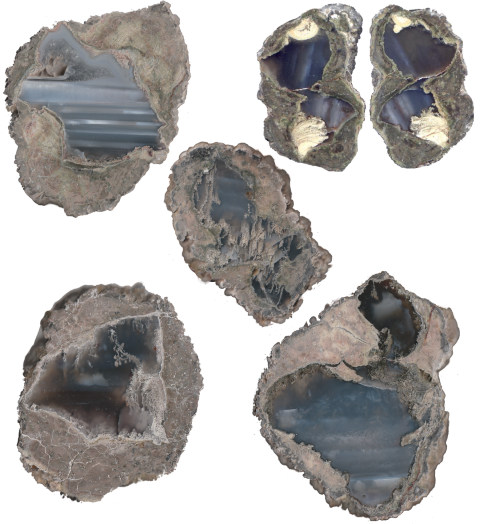 Friend Ranch Nice eggs with a lot of black fortification agate. Ranch recently re-opened to digging. These will sell out FAST! 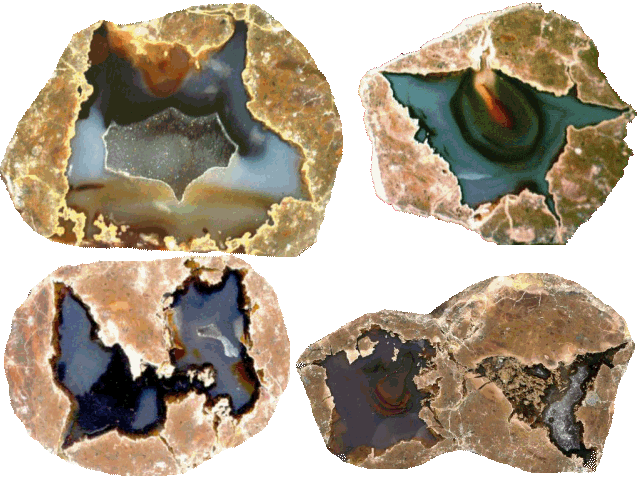 Lucky Strike mine Very cool & varied colorful agate patterns SOME GIANT EGGS ASK! 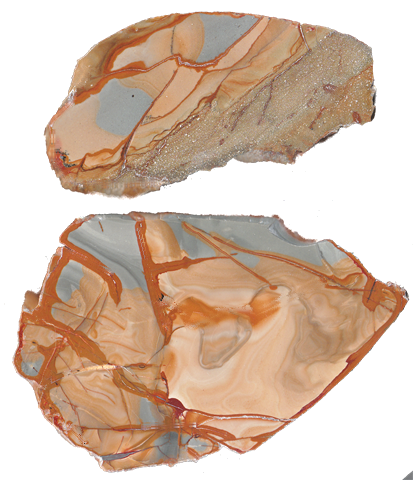 McDermitt ("79 Bed"). Brand new find! 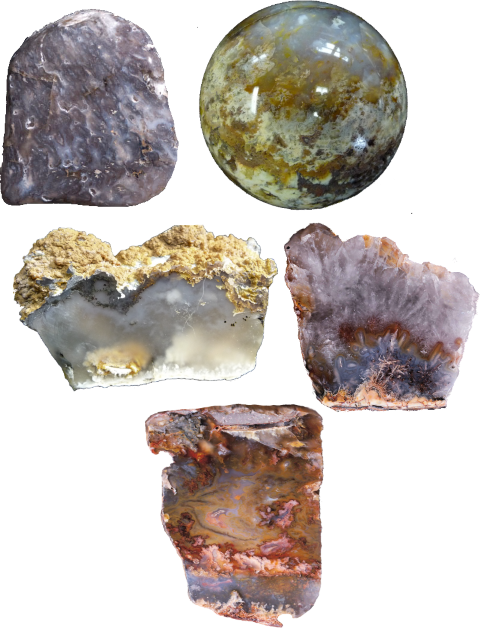 Some spectacular eggs, some with quartz crystals. RARE red plumes (I found one at the pit). We got some insane eggs in 2017 :D SOME GIANT EGGS ASK! McDermitt (Quinn River "Cliff Bed"). Many different types of eggs. Probably a mashup of the Middle Bed, Blue Ridge & McIntosh beds. Plus some unique types (like the one at the left). McDermitt Shearing Corral AKA Golden Glow. Quite a few different types of eggs here. AFAIK I am the only one to collect these in many years. Very rare. McDermitt Middle Bed and various These came to me in a mixed collection and they're mostly Middle Bed which is were almost everybody dug years ago. There are a few other beds from close by. 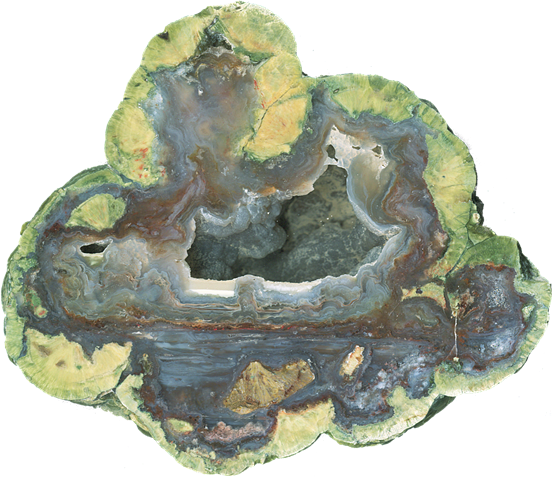 McDonald Ranch Green Eggs 'n' Ham bed Either stable BRIGHT green, cream or pink colored opaque opal, tube agate, or mossy agate centers. We hit it big last trip, lots of big eggs. Most over 2 lbs. 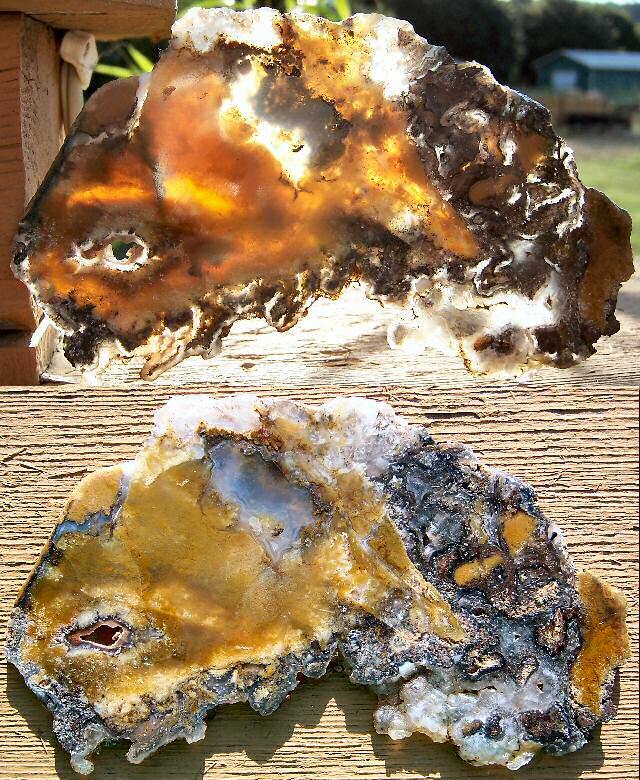 Ochoco Agate bed From our rock club claim, mostly 1/2 lb. or smaller eggs. 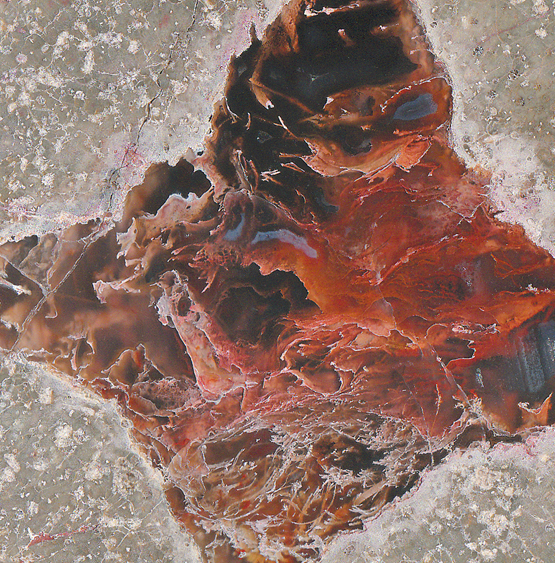 The best have nice carnelian patterns. Pony Creek bed (aka Ochs Ranch) This bed is open again so I have a couple hundred pounds available for the first time in man years. 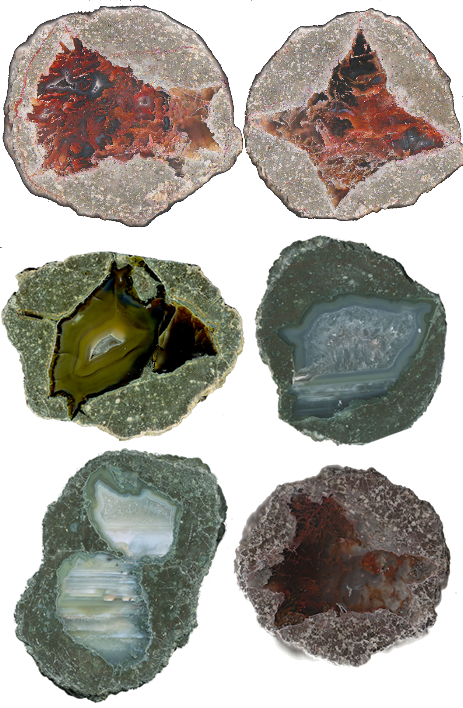 Lots of mossy patterns and botyroidal agate centers. Pony Butte bed (aka Lawson or Gullickson Bed) Mostly agate and a lot like Blue Bed eggs only more moss; occasional red & rare precious opal; I have found a Priday Plume egg here. Priday Moss Bed Spectacular red/orange/gold/green/brown moss and plumey stringers. 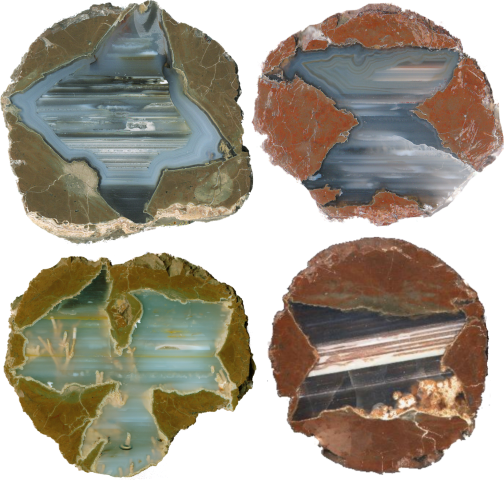 The best moss agate eggs there are. Awesome cabs! 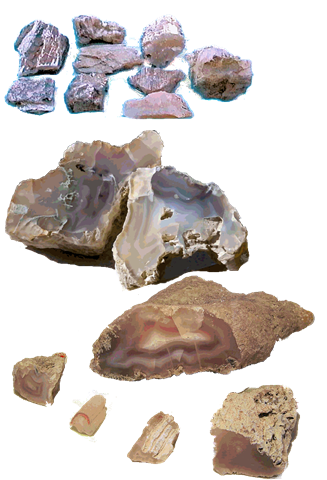 Many are broken by the backhoe, so cut these for the slabs and cut halves. ALL SHOW MOSS! Priday No. 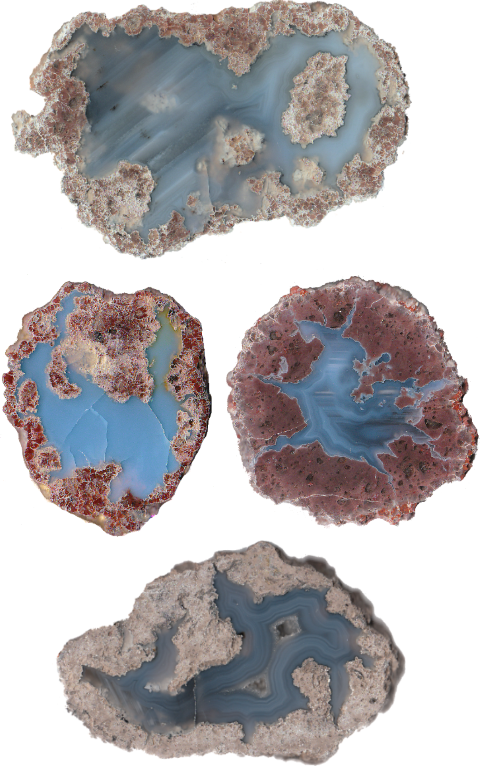 5 Bed Very rarely available small egg masses with zeolite minerals clinoptilolite, mordenite, natrolite (for you mineral collectors! ); very rare. A pound gets you a lot of specimens! Priday Opal Bed (for the faceters, these are the ones you want. 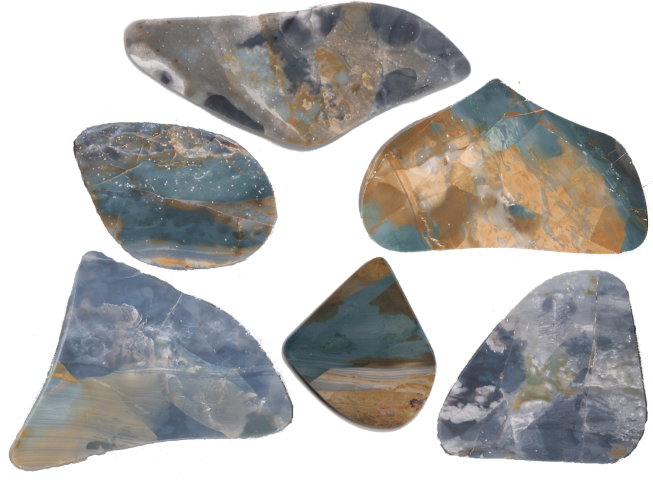 If you aren't a faceter, you will still like them) Usually stable jelly opal dark to light blue, reddish, clear, or mossy opal. 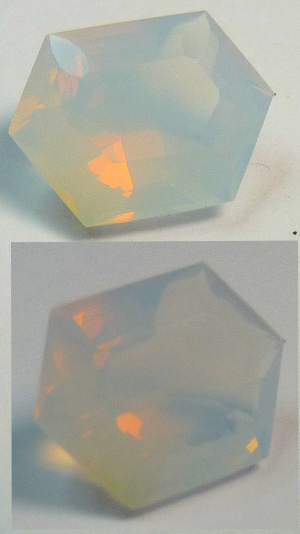 Cuts some ice cabs and coveted for faceting. Small eggs and egg masses 1/2" - 3". Priday Opal Bed Mixed opal and agate. 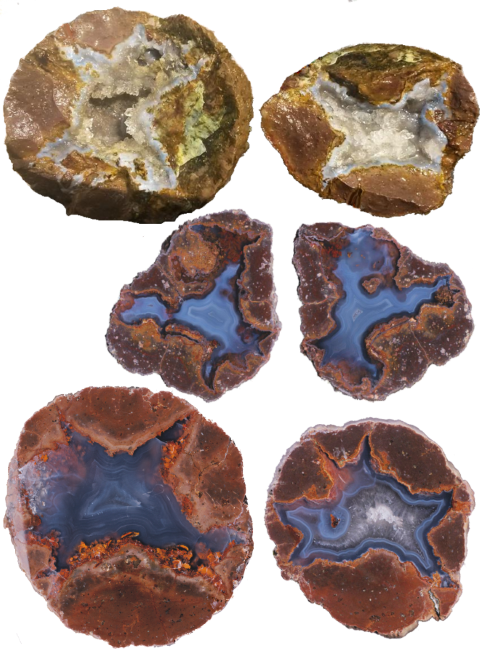 The agate are usually blue, many doubles and some triple eggs. Small eggs and egg masses 1 1/2" - 4". TNT Bed TNT for Tim 'n' Terry Ensell, we rediscovered this old bed. 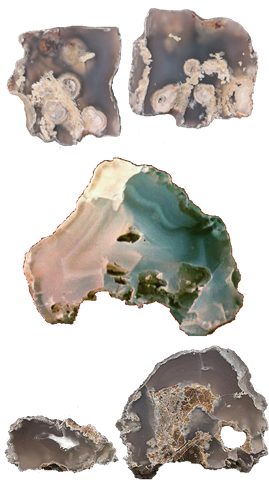 Small "thundernuts" with quartz crystal or agate centers; red line around center, very few faint purple (not amethyst); very rare. 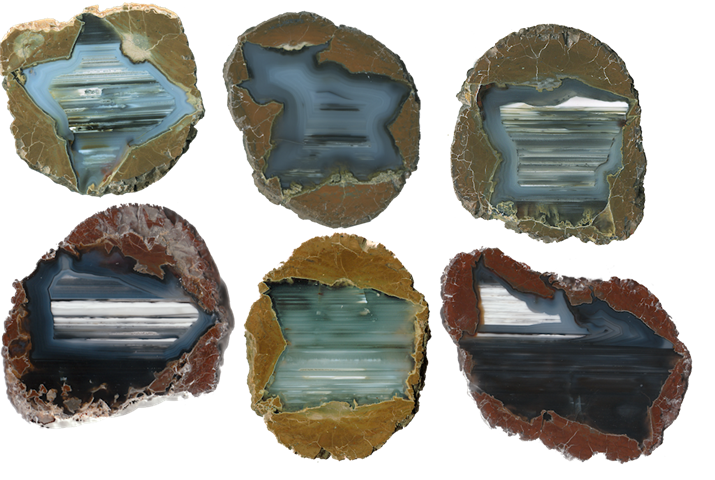 NEW SUPPLY Valley View mine Unusual white/light blue/greenish agate bands and patterns. 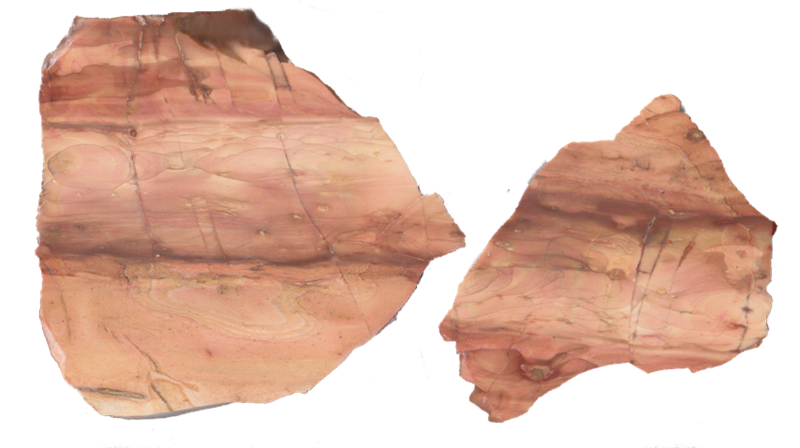 Cut these across the "equator" for watercolor type scenes. All dug before 1962 so there should be some dandies in here. 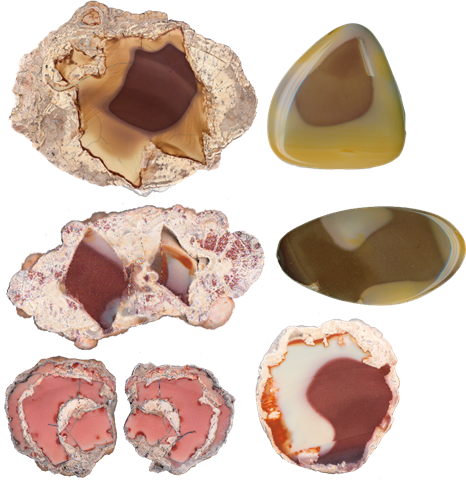 I have found ONE plume agate egg so far, I was told they were uncommon but definitely were found in the 1960s. 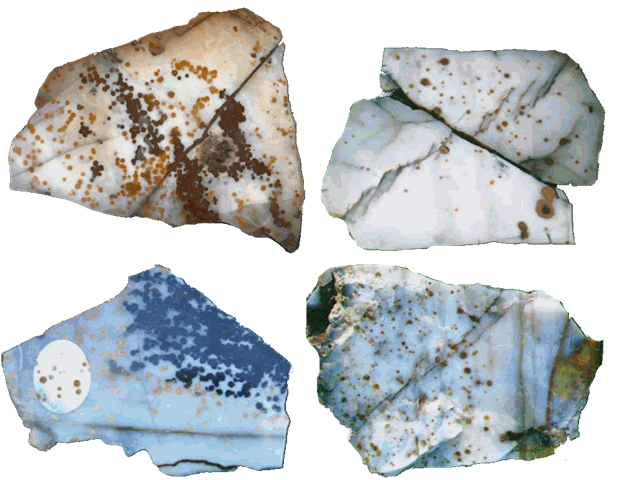 White Fir Spring Mostly tan, golden yellow, occasional dark purple & light red patterns in a creamy white background. 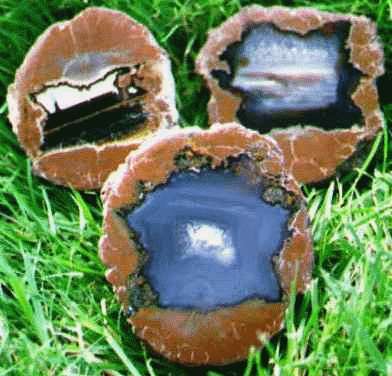 Makes some cool cabochons. White Fir Spring "egg masses" I am offering these at a lower price because I can't be sure that that they have a single jasper center like the White Fir Spring eggs above. 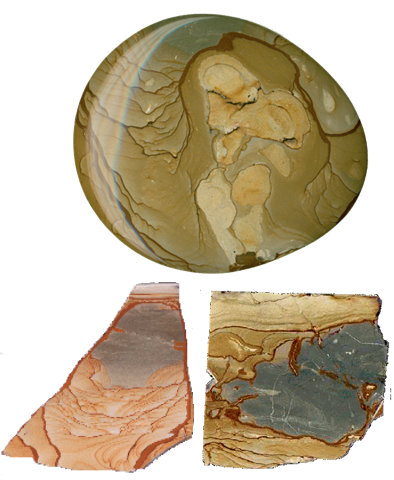 They show jasper on the outside but aren't the typical rounded eggs that we dig here. They usually have multiple centers (think bubbles) and can be the same colors and just as nice as the usual eggs. Click on the name of any material for a sample photo! SOLD OUT means I HAVE NONE. Please do not click on the Cart button if the Available Quantity says SOLD OUT. Please note the sizes of the material - if it says large pieces then ordering 1 pound isn't going to be possible! Slabs are sold by the square inch. 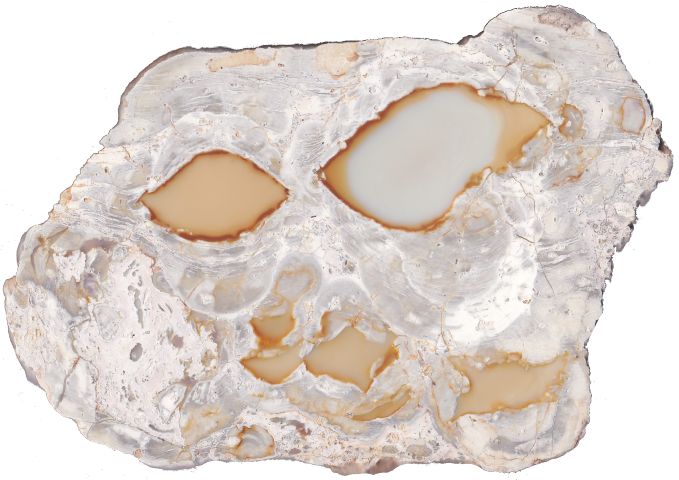 For example, a 4"x4" slab is 16 square inches. per sq. " @3/16" Available Qty. Biggs Picture Jasper The classic Oregon picture jasper. Chicken track Picture Jasper Takes a matte to low gloss polish, very similar to Disaster Peak which is a couple hundred yards away from the deposit. Always wider than it is tall. Named for the cracked mud on the top of the flow (yeah I know weird). 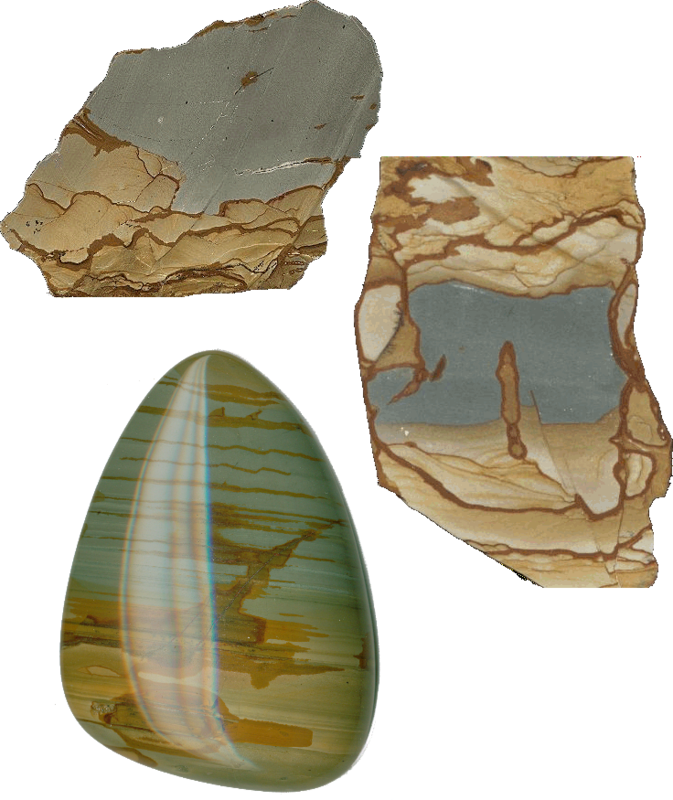 Cripple Creek Picture Jasper Dense dark brown lines and patterns on a slate colored background; rare. 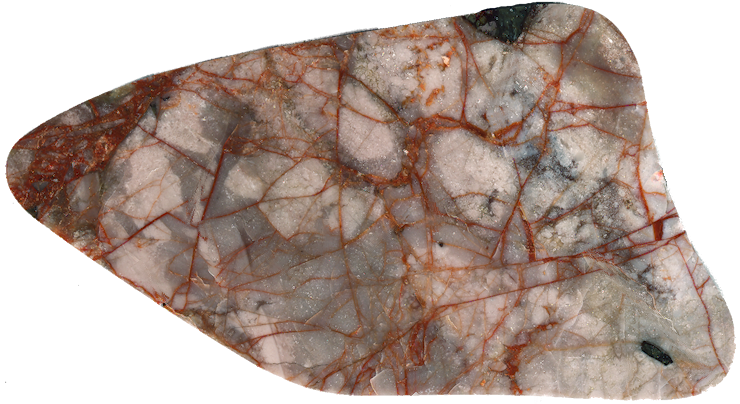 Disaster Peak Picture Jasper Hard wonderstone; unlike a lot of it takes a good polish. ZAM on a muslin buffer is best. 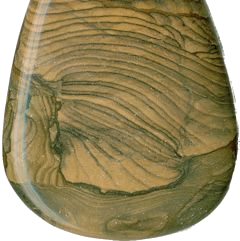 Owyhee Green Streak Picture Jasper Green, tan and brown horizontal lines, pretty unique stuff. 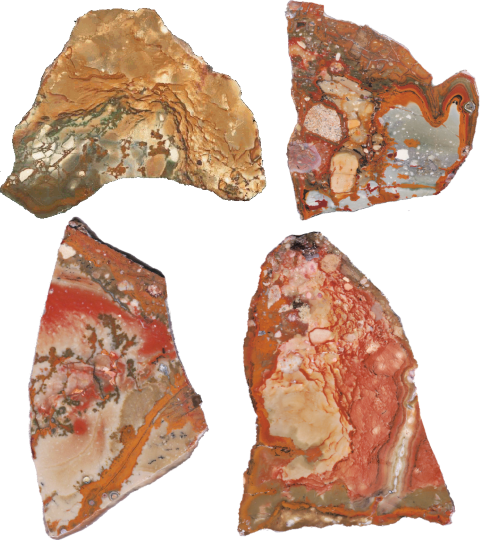 Owyhee Red Gold Picture Jasper Pastel red, white, yellow, tan patterns and scenes. Has never been commercially mined so I named it :) Very limited quantity available. Area is closed to access. 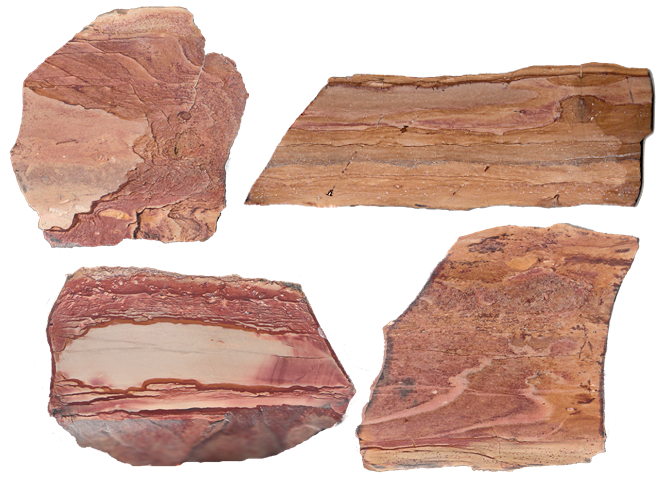 Painted Canyon Picture Jasper I dug this in 2014, it hadn't been touched. I guarantee no one else has this - very limited quantity available. Nice pale gold/brown/red scenes and patterns, takes a satin polish. Peaceful Ridge Picture Jasper I dug this in 2013, probably the first in 30 years. I guarantee no one else has this - very limited quantity available. 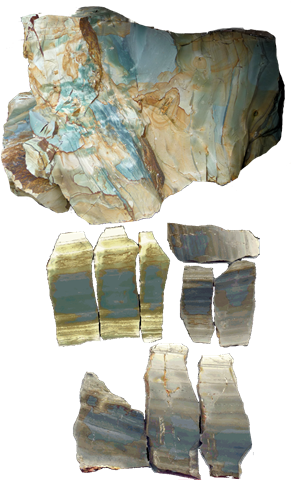 Great scenes and patterns, wavy blues & blue/green; some fractures. 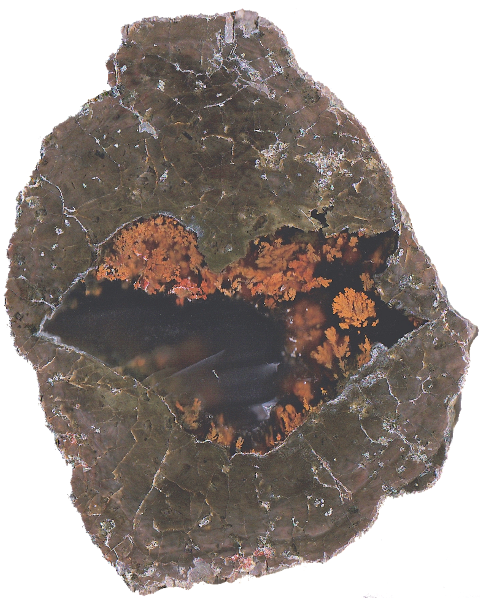 Pinkeye Picture Jasper I dug this in 2014, it hadn't been touched. I guarantee no one else has this - very limited quantity available. Very similar to Blue Moon but in pink/tan shades. Rocky Butte Picture Jasper Famous Owyhee Mountains jasper, cool brown/red rings and blue centers. 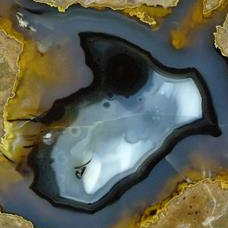 Succor Creek Picture Jasper Nice brown to tan scenes on a slate to blue background; rare. Now under private ownership so I likely won't have any more. 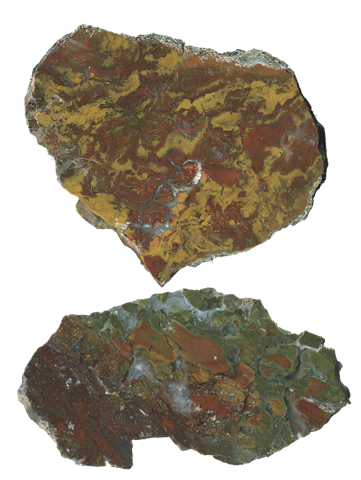 Wildhorse Picture Jasper Classic dark yellow to rust colored patterns in a blue to slate colored background. Hand picked for the best patterns. Note: Slabs are almost always 3/16" to 5/16" thick. 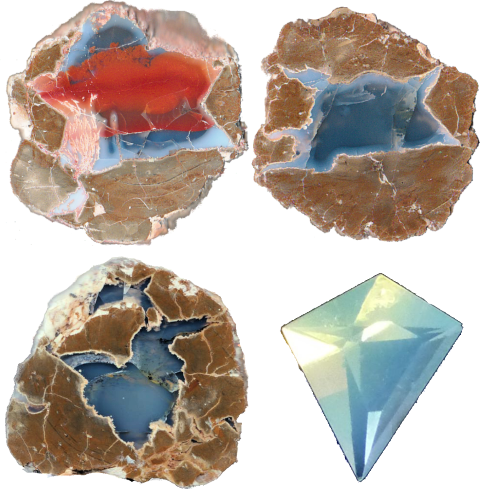 Ask about large material for spheres! 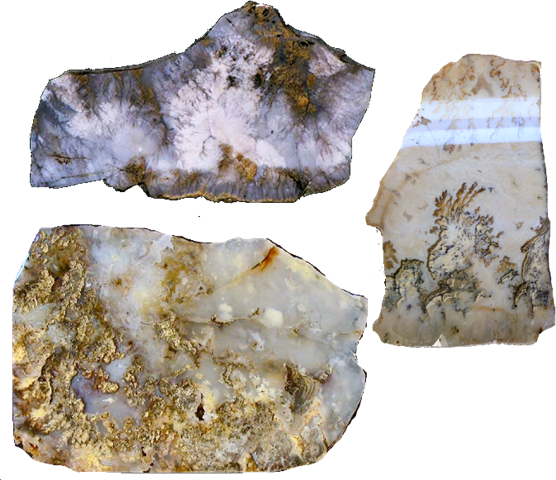 Burnt Ranch Jasp-agate Golden brown patterns in clear to milky white agate; extremely rare. 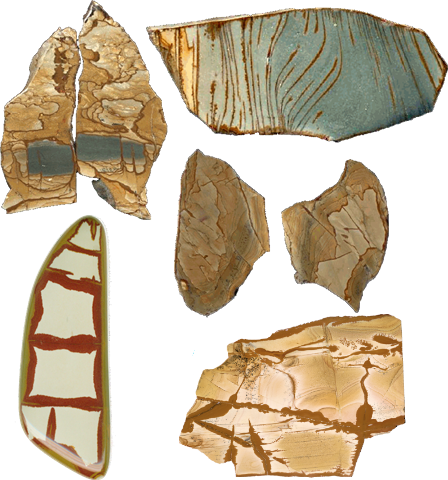 California Porcelain jasper Rarely available (if at all). Pastel colors, some neat spiderweb patterns, very solid! Virtually none left to dig. 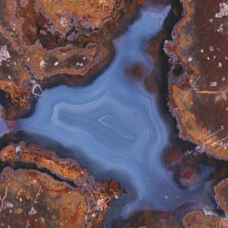 Gary Green Jasper Layered blue to blue/green to green or crean to pink bog jasper; some pits but very cool patterns. 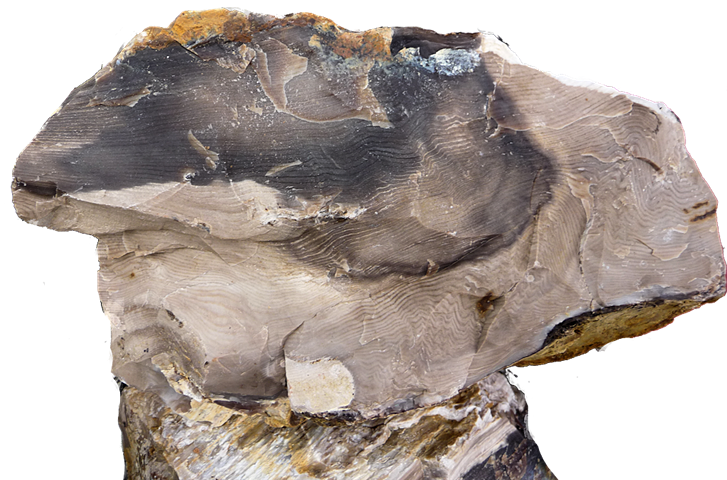 Some looks like petrified wood. Haystack Rock jasp-agate very nice varied colors, swirls and scenes. High graded from several tons of rough, a few fractures. 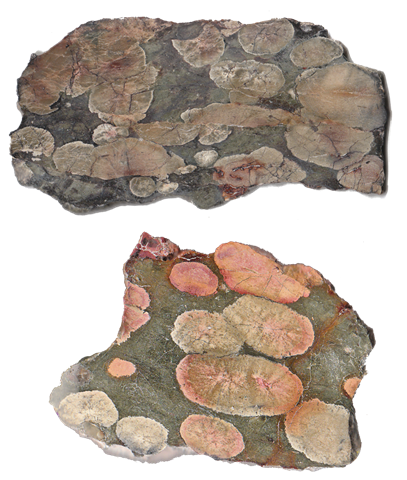 Lily Pad Picture Rock (It's not jasper but rhyolite like Utah Wonderstone). Very nice varied colors, lots of greens & creams (a few nice reds too). Really looks like lily pads. swirls and scenes. Takes a high matte polish, some pits & fractures you must fill in before you work it. 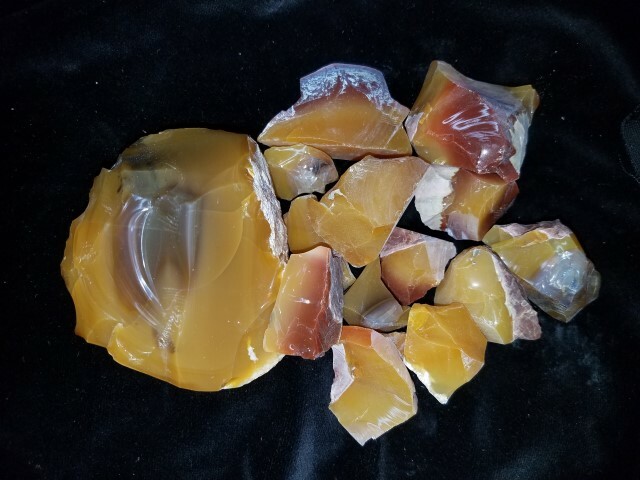 Oregon Sunset jasp-agate You very rarely see any of this for sale. I have a few very nice slabs left. 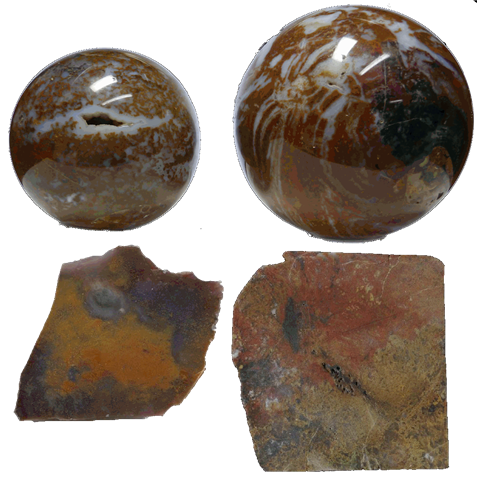 Scott Canyon Wascoite Jasp-agate Comes in two flavors, tan with brown streaks and yellow/red/multicolored jasper. Some fractures but very hard. Amethyst Sage agate I have some very special lavender slabs of this. Hurry they won't last! 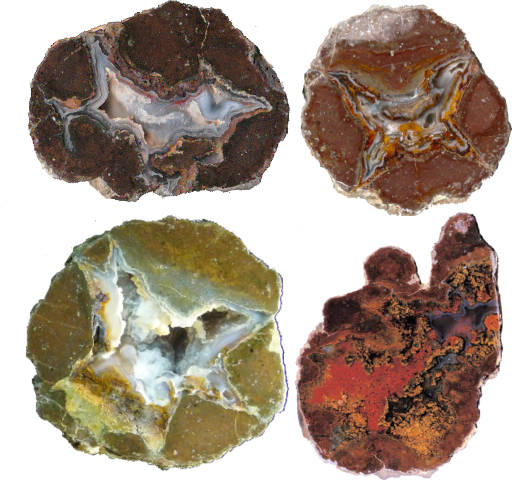 Brazilian Agate Nodules the classic fortification patterns in round nodules. I have at leat 100 lbs. 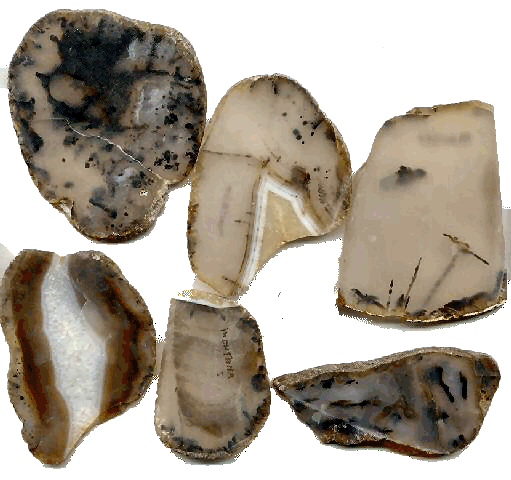 of cut, old stock nodules. Most over 3 pounds. This quality hasn't been imported to this country for 30 years. 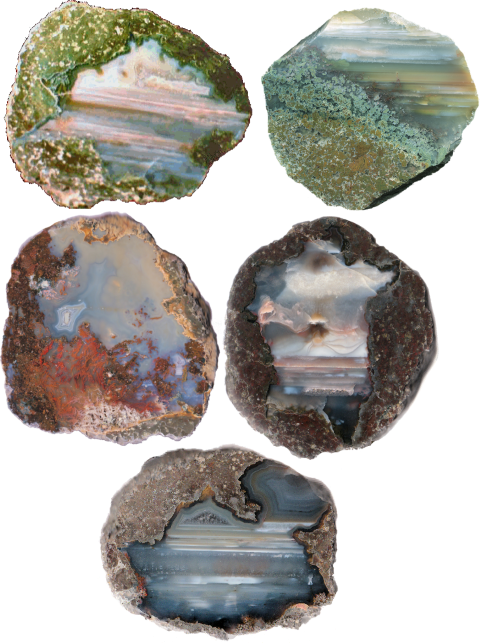 Graveyand Point agate Varied colors, most has plumes. 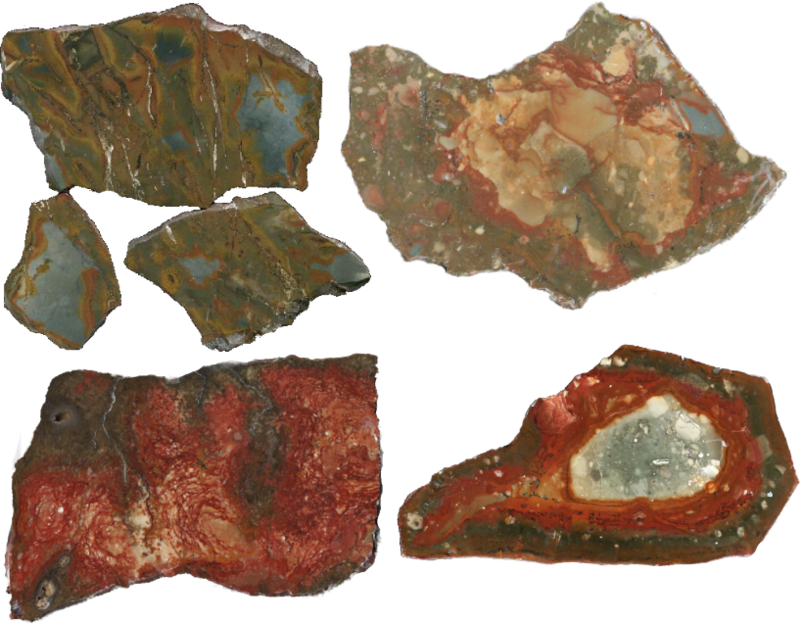 Little Trout Agate very dense green/red/dark yellow moss agate, I have seen killer carvings of this. Ranch is now closed to collecting. Maury Mtn. 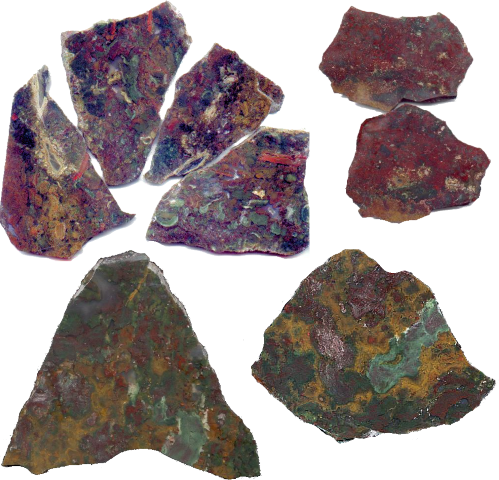 Moss Agate Classic red/ yellow/ brown/ green dense moss agate. What I have now was collected 50 years ago, very nice material. 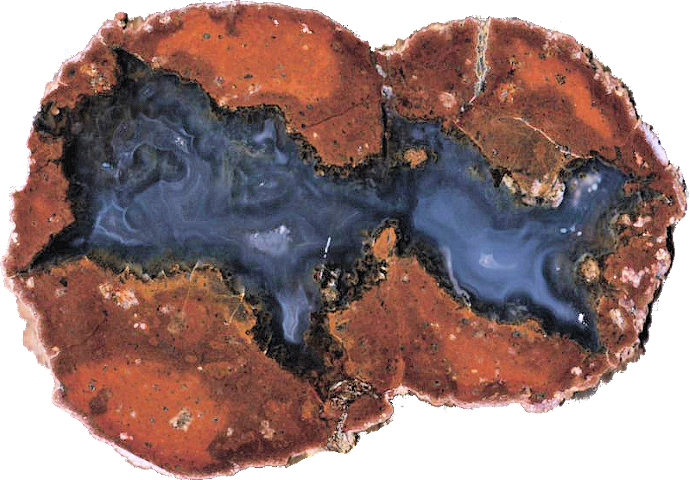 Montana Moss Agate The classic black dendrites and blobs in in clear agate. 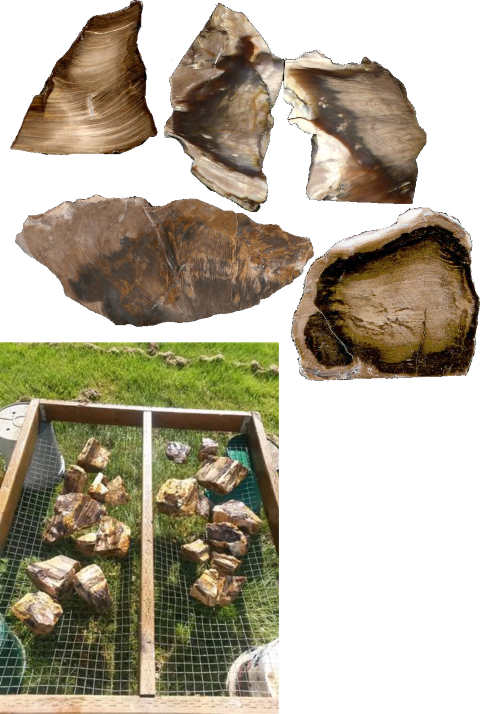 This is some very promising material, many pieces show black patterns on the outside. 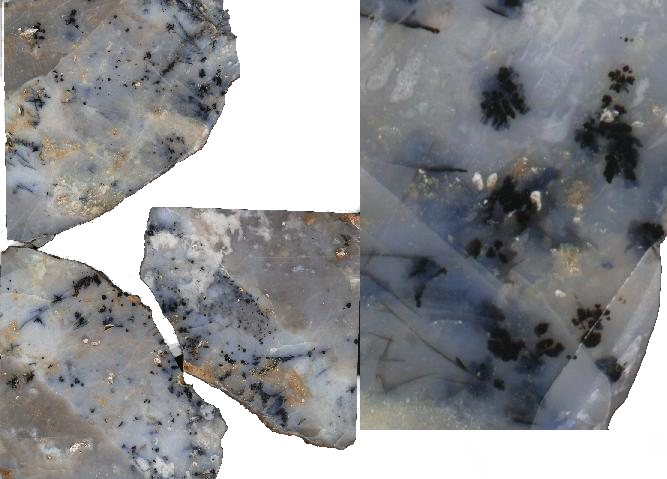 I have slabbed some really nice pieces with lots of black blobs and dendrites. No junk in here! 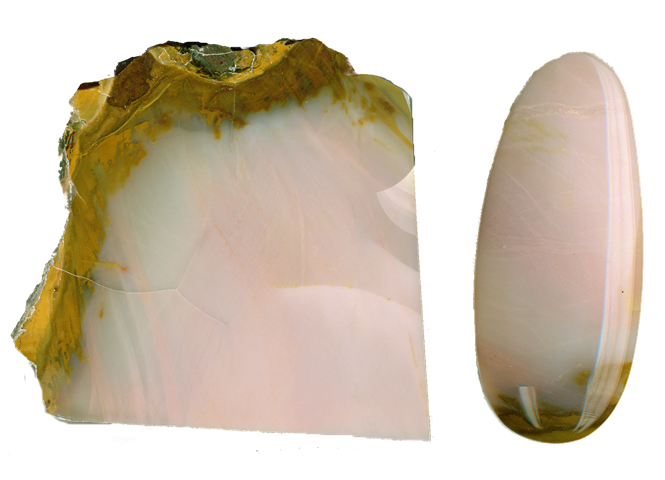 Paulina Limb Cast agate tumbling size. 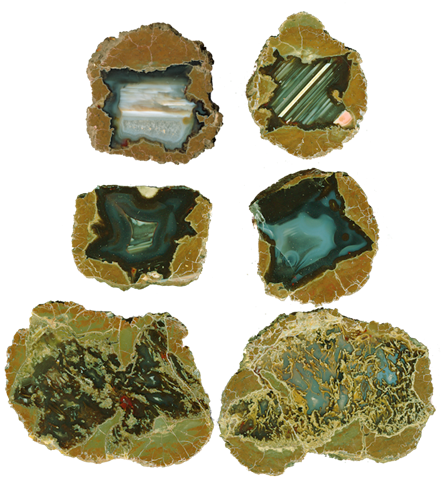 milky white, light green, light blue agate casts of small limbs and wood chips; great for tumbling or specimens; rare black dendrites. 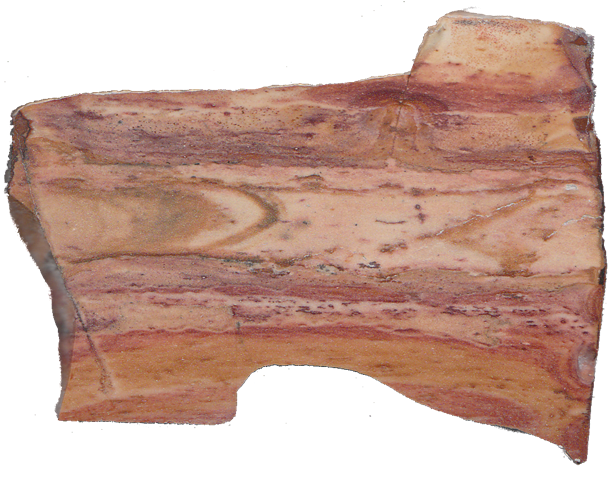 Paulina Limb Cast agate specimen or slabbing size. 1/4 - 2 lb. size pieces; very rarely found. NEW SUPPLY! 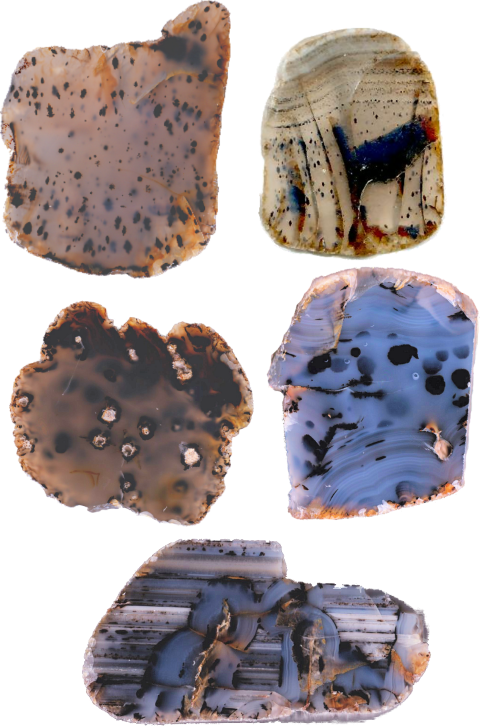 Priday Polka Dot agate I guarantee each piece has polka dots; usually brown to dark brown dots in a milky to blue agate with red/brown/yellow patterns. NEW SUPPLY! Priday"Blue Ice" Polka Dot agate Very blue translucent agate with some "snowball" dots. Beautiful even without dots. 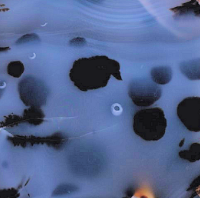 Salt 'n' Pepper agate Translucent milky agate with black dendritic dots (good for spheres); very rare. Crook Co., OR $3.00 Coming soon! Large pieces ASK Coming soon! 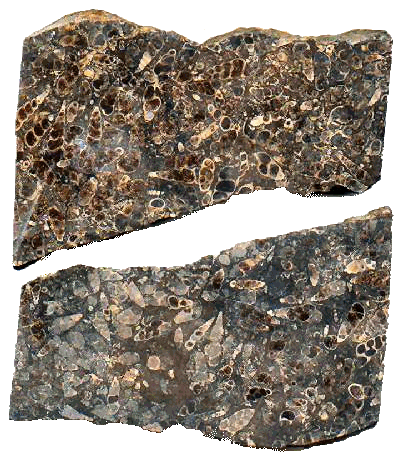 "Turritella agate" Elimia tenera (not Turritella, those are saltwater), freshwater snails (Eocene Green River Fm.) 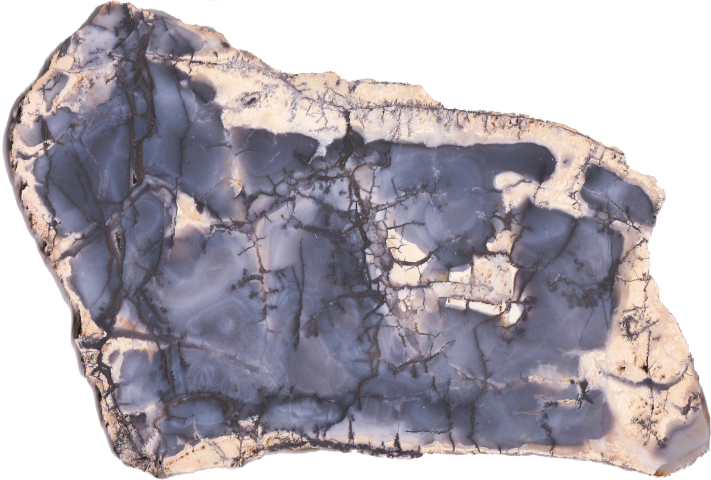 in black calcite-agate. Hard stuff, nothing like the crumbly junk some people are selling. 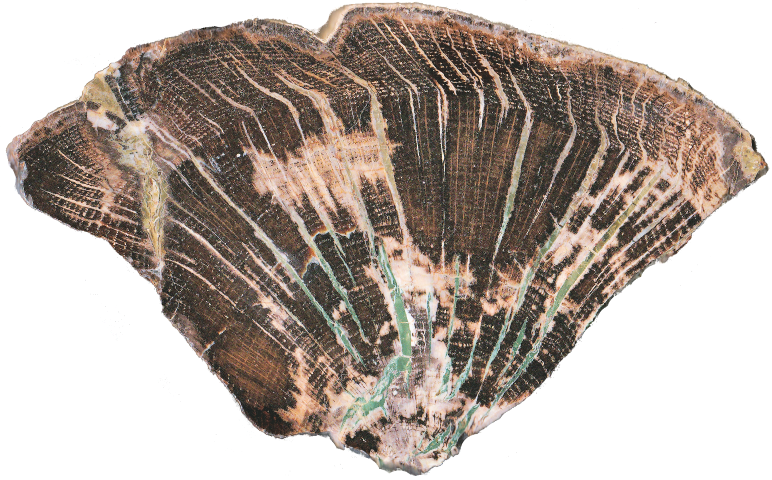 Hampton Buttes Green Wood Sometimes resembles petrified wood, sometimes only the outside looks like wood, sometimes none of it looks like wood. Most of it is green. Almost all of it was burned up in a hot ash flow and agate/jasper filled in the holes. It occasionally looks like wood (from my collection). One of only a few locations worldwide that have green wood. Holleywood Ranch Brown, cream, buckskin, gold, tan, dark brown, almost black colors. 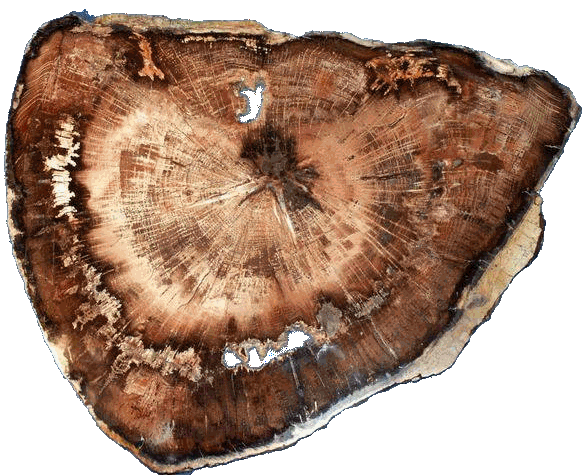 Extraordinary wood structure preservation. There have been over 30 species identified here, the most in the world at one location. McDermitt Limbs (another pic) Beautiful brown to dark brown grained limbs (I have cleaned off the white calcite coating) Suitable for cutting, tumbling or as unique specimens. 25% OFF! 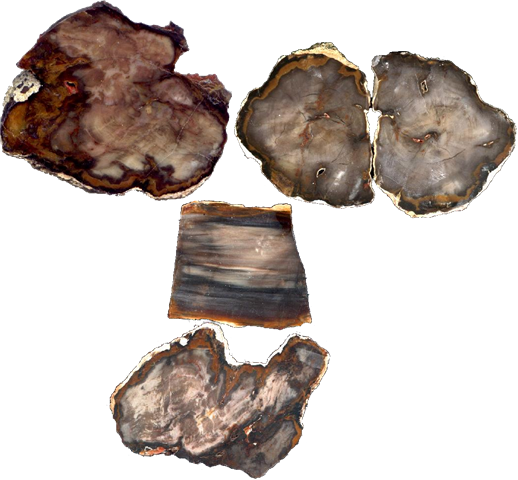 McDonald Ranch Wood Extremely hard Dawn Redwood, mostly agate and some hard opal chunks and small rounds, creamy white, brown, tan, buckskin and other colors. 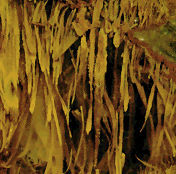 Many have tight "herringbone" grain. (another pic). Some of the best out there! Saddle Mtn. 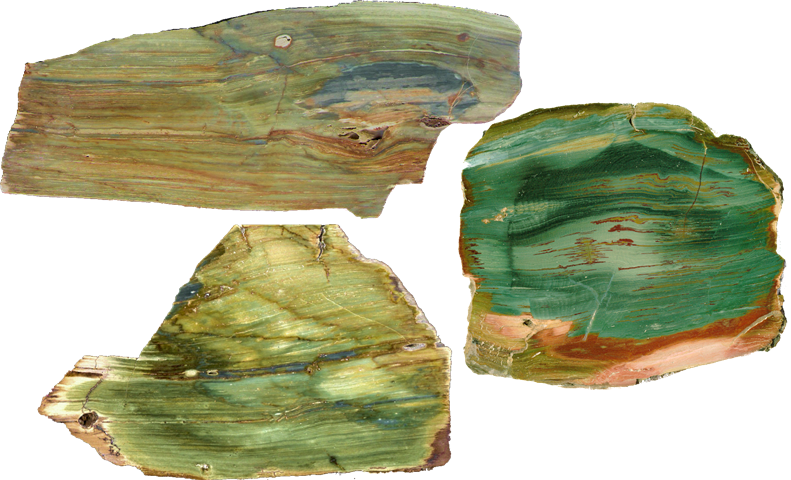 Wood Classic conifers; hard opal and agate limbs, roots, and chunks, some "scenic" wood. Miscellaneous Wood From all over the Pacific Northwest, lots of variation. 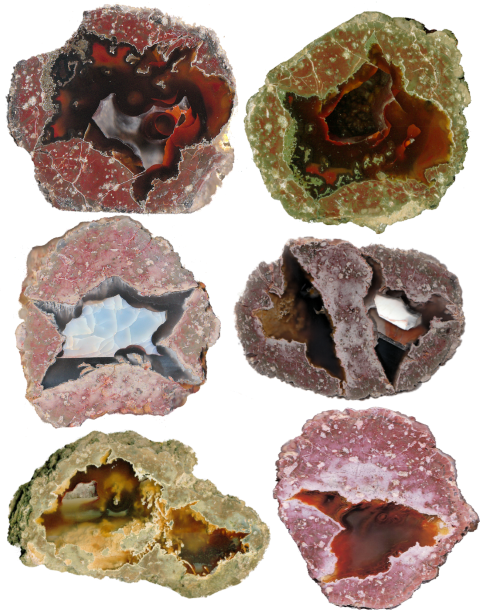 From various collections, all solid agate or jasper, no junk! Some big rounds & branches, ask first. The slabs are priced to MOVE, I have accumulated a hefty box over the years and it's taking up valuable shelf space! 250 + Many large to giant pieces! Please note: I have a minimum order of $25 before shipping charges which will be billed later.